• Obesity: World Health Organization data from 2005 revealed that the US represents only 4.6% of the world's population, but 23% of the world's obese! A 2012 report from the Robert Wood Johnson Foundation ("F as in Fat: How Obesity Threatens America's Future 2012") projects that by 2030, obesity rates will exceed 44% in all 50 states and will add another $48-66 billion to the cost of treating obesity-related disease (Voelker R. 2012). Why haven't we had better success in managing cardiovascular disease in the US? For example, cigarette smoking has been declining steadily and is now down to 19%, its lowest level in decades. LDL-cholesterol levels and the death rate due to cardiovascular disease (CVD) have both declined steadily during the past 2 decades in the US. Yet, CVD is still the #1 cause of death of adults. • The January 23, 2012 issue of the Archives of Internal Medicine published a study showing that nearly 1 in 10 cardiac patients who undergo a PCI required readmission to the hospital within 30 days (Khawaja FJ, et al. 2012). • In 2007, the prestigious New England Journal of Medicine published a report stating "...PCI did not reduce the risk of death, myocardial infarction, or other major cardiovascular events when added to optimal medical therapy." (Boden WE, et al. 2007). 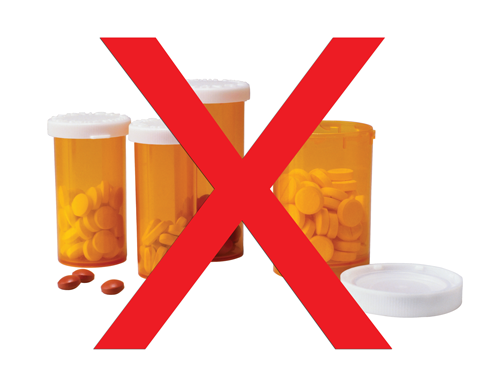 PATIENTS DON'T TAKE THEIR DRUGS PROPERLY! REFERENCE: Yusuf S, et al. 2009. Kuehn BM. 2006. First, combining multiple drugs into a single formulation doesn't represent a better therapeutic strategy. Prescribing the PolyPill in lieu of exercise is like treating the symptoms of iron-deficiency anemia without replacing iron stores, or, treating the symptoms of hypothyroidism without prescribing levothyroxine. It is illogical to treat the symptoms of a problem without first fixing the cause of the problem! • Statins: An analysis of 137,000 patients who sustained their first myocardial infarction revealed that 41% had an LDL-cholesterol level of < 100 mg/dL, a value that is generally considered acceptable (Sachdeva A, et al. 2009). • Beta-Blockers: The October 3, 2012 issue of JAMA reports that beta-blockers fail to offer any benefit in patients with stable coronary artery disease (Bangalore et al. 2012). Because of less-than-adequate results, continuing to attack lifestyle-related health problems with drugs and complex (and expensive!) procedures doesn't make much sense. The way we see it, prescribing drugs for lifestyle-related disease is about as silly as a dentist prescribing a drug to prevent cavities! A lifestyle-related health problem requires a change in behavior, not drug therapy. One glaring deficit in the health care system in the US is how little time, money, and effort is placed on preventive care. The Time magazine review from 2008 gave "Preventive Care" in the US a grade of D+. Instead, we pursue a strategy based on drug therapy and expensive procedures which only address the symptoms of the problem. "Low cardiorespiratory fitness" was the biggest contributor to death than any of the other traditional risk factors that clinical medicine currently monitors. 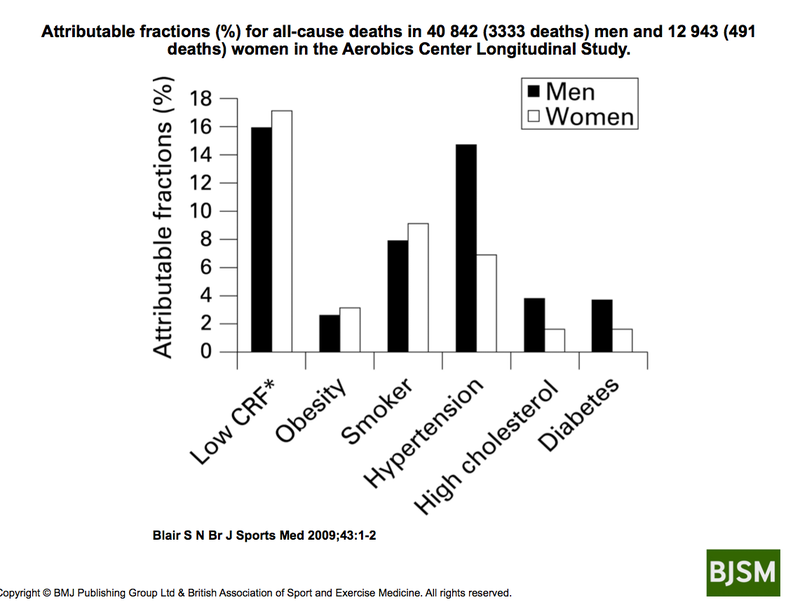 In fact, "low cardiorespiratory fitness" was a substantially higher determinant of death than risk factors that currently get most of the attention such as obesity and high cholesterol (Blair SN. 2009.) What he is saying here is that your fitness level is more important than your cholesterol level! Illnesses that arise as a result of a sedentary lifestyle reflect an imbalance of normal physiology. Thus, it is more logical to base the treatment of these conditions on a physiologic approach, not a pharmacologic one. People who are sedentary suffer from a process known as "atherosclerosis." This leads to cardiovascular problems such as myocardial infarctions ("heart attacks"), strokes, hypertension (high blood pressure), and even erectile dysfunction. Hyperglycemia (elevated blood sugar) also occurs and further complicates the problem. "Statin"-type cholesterol-lowering drugs (eg., Crestor, Lipitor) have become one of the most widely-prescribed types of drugs in the world. However, John Ioannidis, MD, from Stanford University, has recently questioned the new guidelines recommending the use of these drugs in an editorial in the February 5, 2014 issue of JAMA titled More Than A Billion People Taking Statins? He feels that too many people will be given these drugs (Ioannidis JPA, 2014). The fundamental defect causing atherosclerosis is a lack of aerobic exercise....ie., it is an "exercise deficit," if you will. Therefore, the primary therapeutic agent should be exercise, not a complex array of drugs that serve only to treat the various manifestations of that process. Even if all patients took their drugs as prescribed, the health benefits that exercise offers far exceed what drug therapy can provide (Green DJ. 2009). 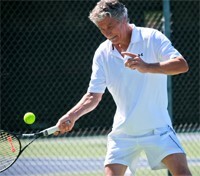 While metformin does lower blood sugar and ACE inhibitors do lower blood pressure, aerobic exercise does that, too, but, in addition, improves aerobic fitness, bone density, muscle strength, weight loss, flexibility and joint stiffness, cognitive function, mood, sleep quality, balance, etc. all at once. No drug, or group of drugs can match that. Nothing even comes close! • Patients were given 1 of 2 different treatments after routine coronary angiography: One group rode a stationary bicycle for 20-min per day, combined with one 60-min group exercise session per week, and the other group underwent a PCI. After 12 months, the group that exercised had a higher "event-free survival" rate than the group that received the PCI. Further, health care costs in the group that exercised were half the costs in the group that received PCI (Hambrecht R, et al. 2004). EXERCISE REALLY IS A THERAPEUTIC AGENT! That's pretty impressive, isn't it? The "agent" he is describing here is aerobic exercise. The only problem with the title is that it doesn't also include: "memory-enhancing," "cancer-preventing," "anti-arthritic," and "clot-preventing" as well! • Cardiovascular diseases: coronary artery disease, hypertension, stroke, heart failure, intermittent claudication. • Metabolic diseases: metabolic syndrome, type-2 diabetes, elevated lipids, obesity. • Musculoskeletal diseases: osteoarthritis, rheumatoid arthritis, osteoporosis, fibromyalgia. • Mental health: dementia, depression, mental performance at work and in the classroom. • Various forms of cancer. 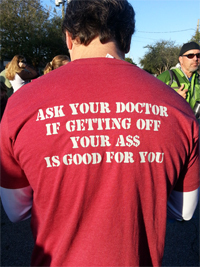 • November 2007: The American College of Sports Medicine (ACSM) and the American Medical Association (AMA) jointly launched the “Exercise Is Medicine” initiative. 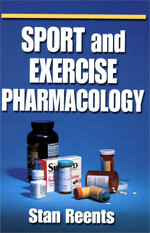 This campaign calls on all physicians to “prescribe” exercise as they would for other traditional therapeutic agents. • June 2008: The US Government's Dept. of Health and Human Services issued its first set of Physical Activity Guidelines. 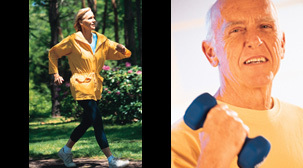 • May 2010: The National Physical Activity Plan was released. 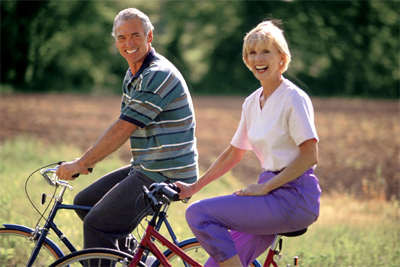 Healthy People has been providing exercise / physical activity recommendations for decades. Exercise is one strategy that could make a huge impact on the health of Americans, and, in turn, health care costs, particularly for chronic diseases such as obesity, diabetes, hypertension, coronary artery disease, etc. • Men and women who walked briskly on a regular basis reduced their need for antidiabetic, antihypertensive, and lipid-lowering drug therapy by roughly half (Williams PT. 2008.). What would happen if we focused more attention on exercise as a therapeutic agent in health care? Answer: We might have a better impact on cardiovascular diseases, obesity, type-2 diabetes, the general health of our entire population, and, in turn, a reduction in health care expenses! So, what can you do with all this information? 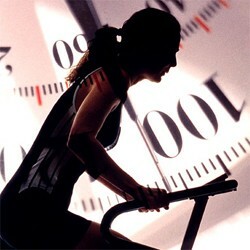 The bottom line: Exercise or do some form of physical activity every day! 1) Check with your personal physician before beginning any new exercise routine. 2) If you are taking medications, do NOT stop taking those medications without conferring with your personal physician. Then, consider starting by going for a walk....if not every day, then, 3-5 days per week. But, try to do it every day. Walk briskly and swing your arms. Try to push your heart rate up a bit. Slow down if you get out of breath, and, certainly, stop immediately if you develop chest pain! Learn how to monitor your heart rate while you are exercising and, periodically, assess your resting heart rate first thing when you wake up. That's it! Yes, it really is that simple to improve your health. You may find that your blood pressure and your cholesterol start to improve, and, you just might lose a little weight. American Heart Association. Heart Disease and Stroke Statistics - 2010 Update. American Heart Association, Dallas, TX, 2010.